Hockey players will be at the Homewood-Flossmoor Park District Ice Arena on Sunday, Dec. 9, for the fourth Annual HF Hockey Day showcasing six Northwest Hockey League games for all age groups of Viking Youth Hockey. The program, from 8 a.m. to 4:30 p.m. is designed as a day of fun, family, friends and hockey. Throughout the day, teams will compete on the ice and supporters will get to enjoy a complimentary breakfast and play a variety of games, including tennis ball toss. They can also enter to win raffle prizes including items from the Chicago Blackhawks, Bears, Cubs and White Sox, H-F High spirit wear, gift baskets and more. The first games will start at 8 a.m. when Squirt 3 takes on Chiefs Blue; 9:10 a.m. Mites vs. Panthers; 10:20 a.m. Bantam vs. Chiefs; 11:30 a.m. Dynomite Relay Race; noon PeeWee 2 vs. Renegades; 1:10 pm. 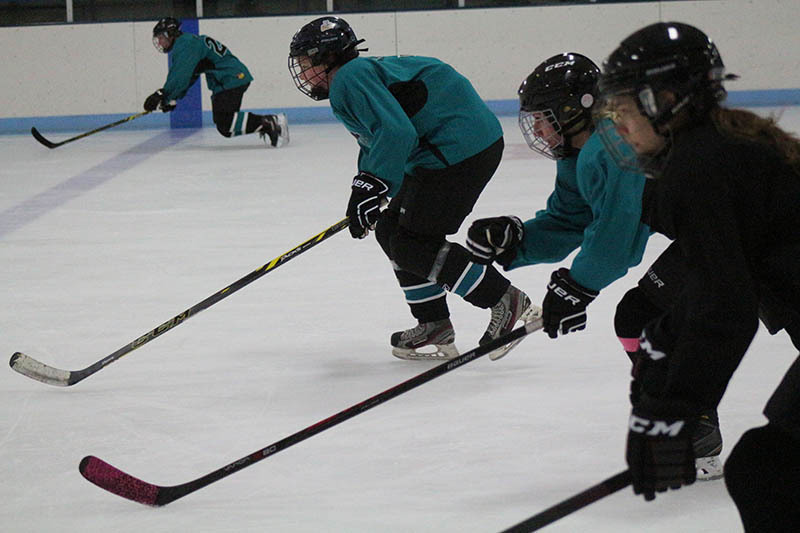 Squirt 1 vs. Fury; 2:20 p.m. Pee Wee 1 vs. Winter Club and 3:30 p.m. Squirt 2 vs. St. Jude.